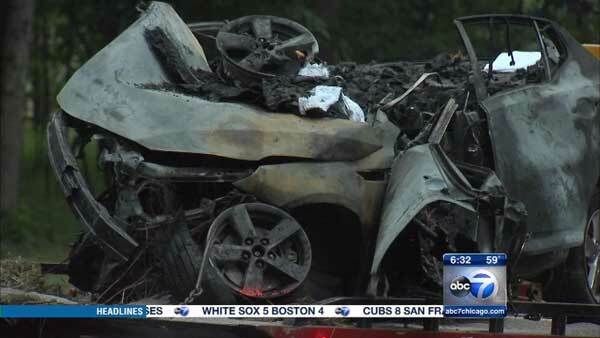 INGLESIDE, Ill. (WLS) -- Two of the three people killed in a fiery car crash in Ingleside have been identified, police said. 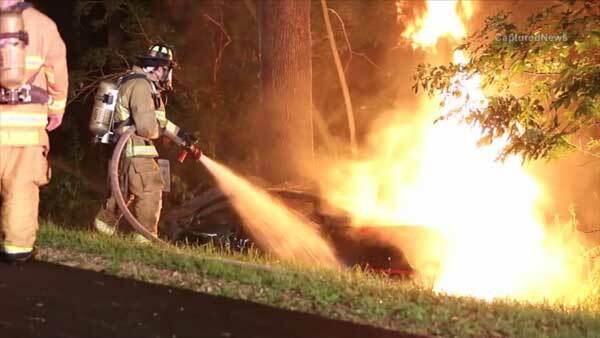 The car left Rollins Road and crashed into a tree, bursting into flames Wednesday morning. The crash killed everyone in the car. The driver was 30-year-old Jon McKinney of Round Lake Beach and one of his passengers was 33-year-old Michael Mortensen of Ingleside. DNA tests are being conducted to determine the identity of the other passenger.